It was good to see the Pride of Baltimore II on your site the other day. I am one of two captains of the ship (we split the season 50/50), and I have a long background in racing before I became a schooner guy. 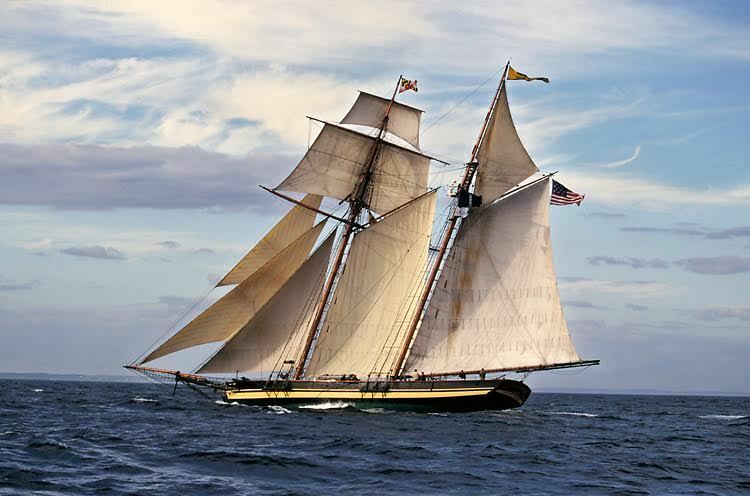 Many people look at Pride and see a sort of museum piece- but she’s fast and weatherly by almost any standard, and the tradition has always been to sail her hard. This is a tradition I have happily continued. We did a series of races on the Great Lakes this summer against other tall ships. This is my first season with the ship, and I asked our senior captain, Jan Miles, just how hard I could drive the ship and what were safe limits for certain sail combinations. He replied: “Oh, just push it til it breaks.” (He meant in this context that the rig has so much redundancy that the thing that broke first would be a 20 dollar length of 3 strand rope- the topgallant sheet- rather than anything crucial, but it is illustrative of the mindset.) The crew is 12- captain, cook, and 10 mates and deckhands. They have a competitive drive and desire for efficiency that rivals many top-flight racing programs I have been involved in.